10 December 2016 – Master Yachts is managing the construction of the classic Hoek Design 56m Explorer Yacht, at Turquoise Design in Istanbul. Delivery is planned for mid-2019. 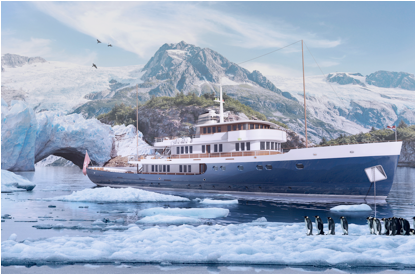 Despite her classic lines, she will be built to Ice-class to navigate the Northwest Passage and other polar regions.